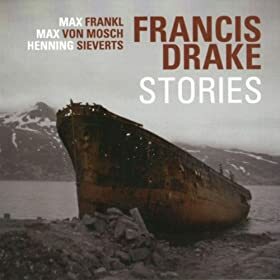 Max Frankl/Max von Mosch/Henning Sieverts - Francis Drake - "Stories"
Max Frankl - electric, acoustic and classical guitars - Max von Mosch - tenor- and soprano saxophone, clarinet - Henning Sieverts - bass, cello. The three musicians are calling their ensemble Francis Drake. A really pretty album, using a liberal definition of the word 'pretty'. Odd compositions with straight ahead moments. Reminiscent of albums like Christophe Pays' "Ellipse" or perhaps Brad Shepik's "Human Activity Suite". I really enjoy the album, though there's a part of me that would've liked the album to have added a more percussive element to the songs; I find myself thinking that some understated brushwork would've also really added something to it. That said, a very enjoyable album. Finally bought this today. Really nice album.